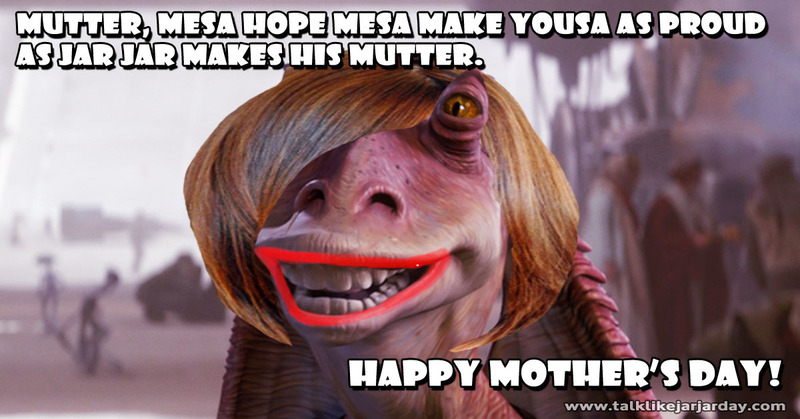 Mom, i hope i make you as proud as Jar Jar makes his mother. 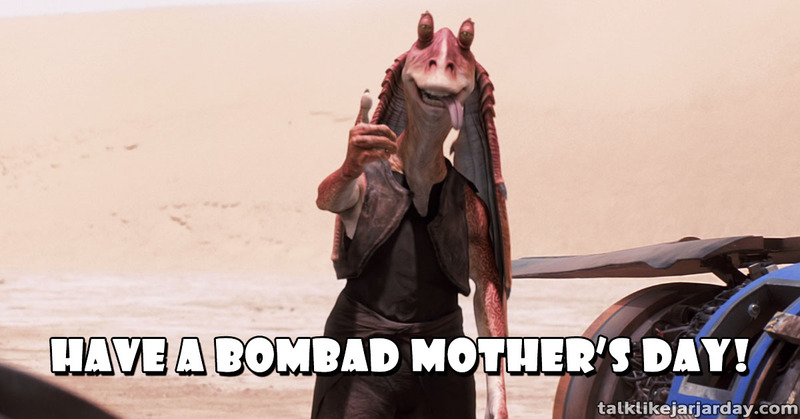 Have a bombad Mother's Day! 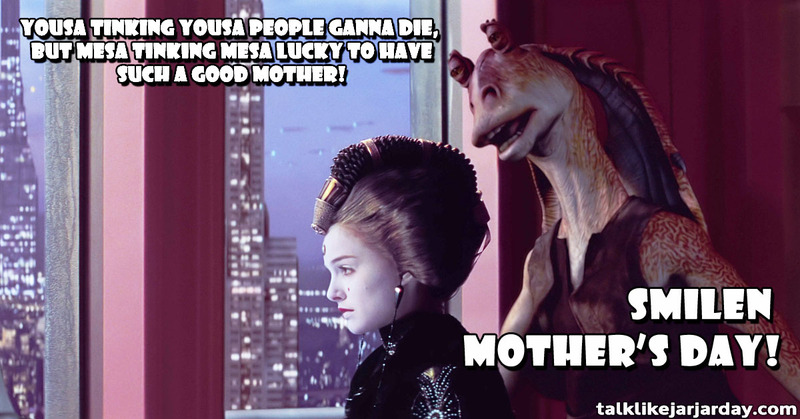 Yousa tinking yousa people ganna die, But mesa tinking yousa lucky to have such a good mother! 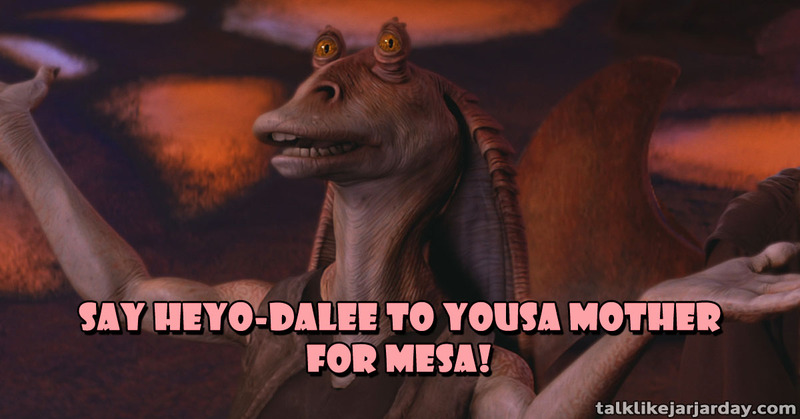 Say Heyo-dalee to yousa mother for mesa!